This article was originally published on The Fifth Column News by the same author. Transparent policing means numerous things, all revolving around informing the public. Citizens are concerned what crimes may be occurring around them.Theoretically, police departments remedy this by producing public reports detailing their actions. 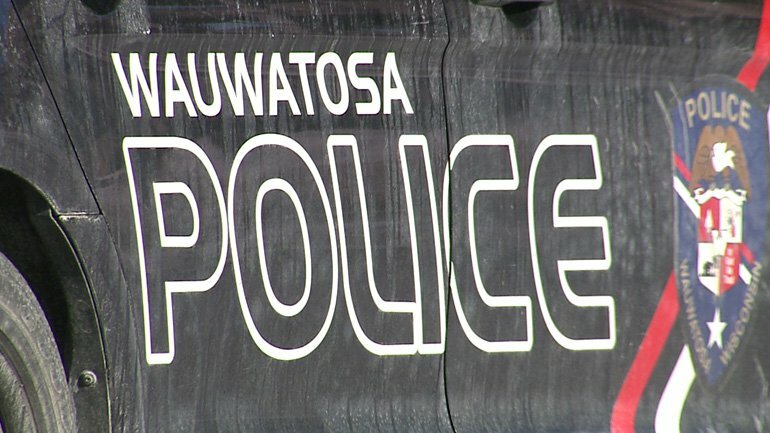 Wauwatosa PD, however, may not be fully documenting key information. Specifically, WPD recently suggested it does not maintain records of how many drugs–or what kinds–it captures yearly. This was learned via an open records request filed by TFC, half of which was denied. Two sets of documents were requested under open records laws, mainly in the interest of public disclosure. First, WPD’s still unpublished 2016 annual report was requested. Annual reports read like lengthy beginner’s guides to a department and are published yearly. In most cases, Wauwatosa included, these are found on city websites for viewing and scrutiny. Annuals include everything from documented crime breakups, to officer promotions, rank structures, and unit overviews. Since 2012, however, Wauwatosa PD has failed to consistently publish these reports for residents. From 2012-2015, WPD’s annual report page remained unchanged without explanation from the department or city. This coincided with the implementation of a controversial redaction policy stemming from a 2012 court ruling. However, while other midwestern departments continued producing public reports, Wauwatosa experienced long dry spells. This briefly included reports published daily in local media in 2013. During that year’s summer, Wauwatosa Now–a local outlet–issued an editorial apology for the lack of police reports. This occurred alongside a large-scale drug crackdown targeting teens in Tosa’s woods. During this operation, numerous incidents of officer misconduct, surveillance, and intimidation were reported. These, however, were largely unheard until being cataloged by the 2015 documentary Speak Friend And Enter. The operation began in late 2012, with some claims dating back to 2011, and ended mid-2014. WPD’s missing 2012-2014 annual reports weren’t published until requested by Cop Block Network contributors in 2015. This was after the remaining 2004-2011 documents were removed from the city page without notice or explanation. It’s unknown what party, the police department or otherwise, removed the reports in 2015. The author’s 2017 requests were forwarded to an administrative sergeant by Lieutenant Jack Morrison. Since mid-2016, Morrison has handled the author’s records inquiries himself. This was the first time he’d passed a request on in such a way. An additional wait was expected, as the officer now handling the request was on vacation. Sgt. Katie Gierach eventually said although 2016’s annual report is complete, “the time frame for availability is unknown.” It’s similarly unclear what’s holding up the reports, which are explicitly intended for public viewing. Next, WPD’s drug seizure reports from 2015-2016 were denied by Sgt. Gierach and company. “No records as described exist”, she responded in an email, stating the city isn’t obligated to create new documents for FOIA requests. However, this was requested because it’s not publically known what drugs, and total quantities, WPD captures. In the annual reports, a section is dedicated to WPD’s Special Operations Group (SOG). This small unit handles “covert” surveillance, drug seizures, undercover work, and similar operations. Itemized drug seizure overviews are provided publically for SOG, but not the entire department. This is noted in SOG’s section each annual report on the city page since the unit’s formation. To put SOG’s captures in context, the unit is just 2-3, perhaps 4 officers out of a 90-strong force. Initially, while Sgt. Gierach was “on vacation”, Lt. Morrison directed the author to these reports for capture yields. After pointing out that the report itself states this isn’t representative of all of WPD, Lt. Morrison went dark until Sgt. Gierach replied. WPD’s reply conjures a wall between the public, and understanding of what drug issues exist in Tosa. Could this lack of documentation ultimately downplay the severity of such issues, particularly with opioids? From 2004-2011, WPD recorded a mix of prescription pills, cannabis, heroin, and occasionally cocaine in annual reports. Some years saw items spike, such as heroin in 2008 and cannabis during the crackdown. The unreleased 2012-2014 reports, however, were the first to record crack cocaine, and others never before recorded. Whether this influenced the withholding of these three documents, 2012-2014, is unknown. Milwaukee County is in the grips of an opioid epidemic, and Wauwatosa is included. However, specific data on Tosa’s opioid issues, including overdoses, is scarce. In an email, Tosa’s health department informed TFC opioid data for the suburb is currently being developed. Although expected by the end of the year, it’s unknown when Tosa’s full opioid issue will be presented. This remains a ghost issue in the community, an elephant in the room among many. Wauwatosa PD’s suggestion that total drug seizure records don’t exist adds to the information gap. As crisis’ like the opioid epidemic mushroom throughout America, detailed information is essential. It’s difficult to see what’s accomplished when agencies ensure peeping eye’s don’t sneak behind the curtain. Isiah Holmes is a writer and freelance journalist native to Milwaukee, Wisconsin. His writing can be found on Cop Block, The Pontiac Tribune, and The Fifth Column News. Video's produced by Isiah are published under the tag YungCartographer Productions.